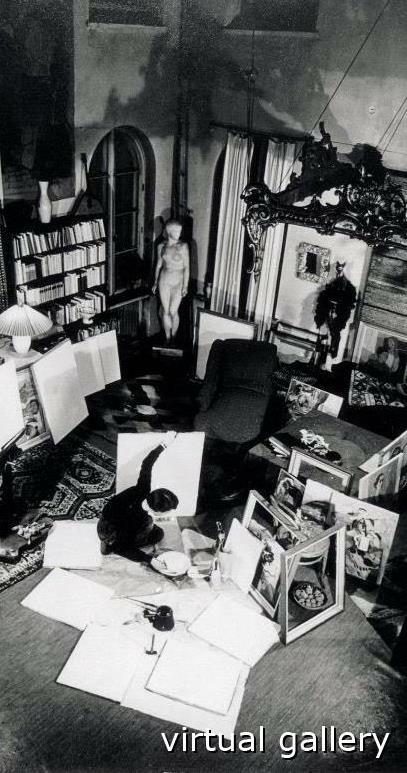 Tove Jansson in 1950s in her Ullanlinnankatu ateljer, where she lived and worked for over 50 years. Photo © Per Olov Jansson. 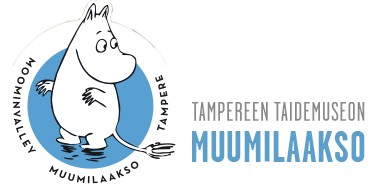 Artist Tove Jansson, Helsinki exhibition is a co-production of Virka Gallery (City of Helsinki) and The Moominvalley of Tampere Art Museum, in co-operation with Moomin Characters Ltd.
* Tove Jansson’s written pieces. Paintings, illustrations and charicatures. Quotations from: Sculptor’s daughter. 1968. Helsinki: WSOY; Kuuntelija. 1972. Helsinki: WSOY and Viesti. * 1998. Helsinki: WSOY. Jansson, Per Olov: interviews 17.5. and 1.6.2010. Interviewer Sirke Happonen. * Tove Jansson: muistonäyttely. Taiteilijavanhemmat Signe Hammarsten Jansson ja Viktor Jansson. Ed. Anneli Ilmonen, Teija Waaramaa, Elina Bonelius. Tampereen taidemuseo - Pirkanmaan aluetaidemuseo 2002. Especially articles written by Elina Bonelius, Mirja Kivi, Erik Kruskopf and Ari Latvi. * Happonen, Sirke: Vilijonkka ikkunassa - Tove Janssonin muumiteosten kuva, sana ja liike. Helsinki: WSOY 2007. * Happonen, Sirke: ”Muumilaakson monet versot”. Suomalainen Design. Ed. Arvo Vatanen. Arvokirjat, 2008. * Kruskopf, Erik: Kuvataiteilija Tove Jansson. Helsinki; WSOY. * Kruskopf, Erik: Skämttecknaren Tove Jansson. Helsinki: Schildts 1995. 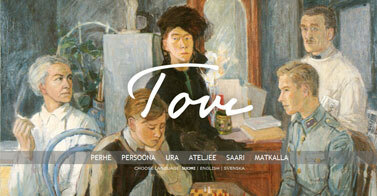 * Westin, Boel: Tove Jansson - ord, bild, liv. Stockholm: Bonniers, 2007. The photographs may not be reproduced or utilised in any form or by any means electronical or mechanical including downloading, print-out, or by on-line-access or any information storage and retrieval system without permission in writing from copyrightholder. Jansson's books have been translated into over 40 languages, and have been adapted as plays and films, as well as radio and tv- programmes. The latest interpretation is the contemporary dance theatre performance Dancing Moominvalley. What is her hometown like? How is Helsinki represented in her illustrations and writings? Where did she live and what was her life in Helsinki like? Artist Tove Jansson (1914-2001) became internationally renowned for her moomin books and cartoons.